The Upshot: Here we go again -- the first three are no-brainers, and it's the fourth spot you could argue about. We submit that Howe, Gretzky and Orr would be a lock in virtually any hockey fan's Mount Rushmore. We've gone with the Rocket for our fourth spot, owing to his history-making role in the Original Six era. But a case can be made for others: A hockey Mount Rushmore without a goalie? What about Lemieux? Are we giving short shrift to more modern players, like Sidney Crosby? What about under-appreciated ones, like Jaromir Jagr, who as of this writing is still putting up numbers at age 44 and is on the verge of passing Mark Messier and becoming the NHL's second all-time leading scorer? And cripes, what about Messier? Gordie Howe: They called him Mr. Hockey, and not in an ironic or self-promoting way like that "Johnny Football" guy. Second all time in points. Played productively in the NHL after age 50. 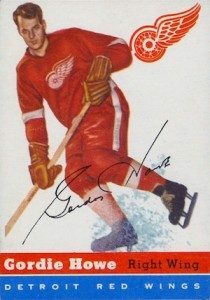 Perfect blend of toughness and offense, so much so that a player who scored a goal and an assist and got into a fight in the same game was said to have scored "a Gordie Howe hat trick." He was Wayne Gretzky's childhood idol. Wayne Gretzky: All time leading scorer. Transcended the game. Four Stanley Cups with Edmonton. Rewrote the record book. Single handedly popularized hockey in Southern California (and devastated a nation by being traded away from Edmonton). Best hockey sense ever. Played hockey like a chess master: he always seemed two moves ahead, going not where the puck was, but where it was going to be. Also one of the classiest people of his stature, in any sport. 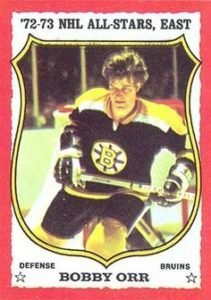 Bobby Orr: Literally changed the way his position was played. Only defenseman ever to lead the NHL in scoring. First player to surpass 100 assists in a season. Known for his offensive prowess but often under-appreciated for his defensive game. Won the Norris Trophy as NHL's top defenseman a record eight consecutive times. That's not a typo. Career shortened by knee injuries, yet still regarded as the best ever at his position. 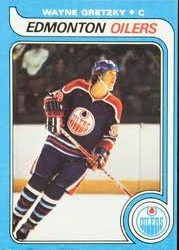 Rocket Richard: First player to score 50 goals in a season -- and 50 in 50 games. The NHL actually named its goal scoring trophy after him. 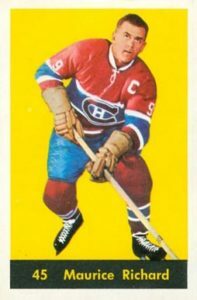 Leader of Montreal Canadiens dynasty in the 1950s, which will surely be mentioned when we get to writing the Mount Rushmore of sports dynasties. Played 18 seasons and won eight Stanley Cups, a remarkable feat even in a six-team league.